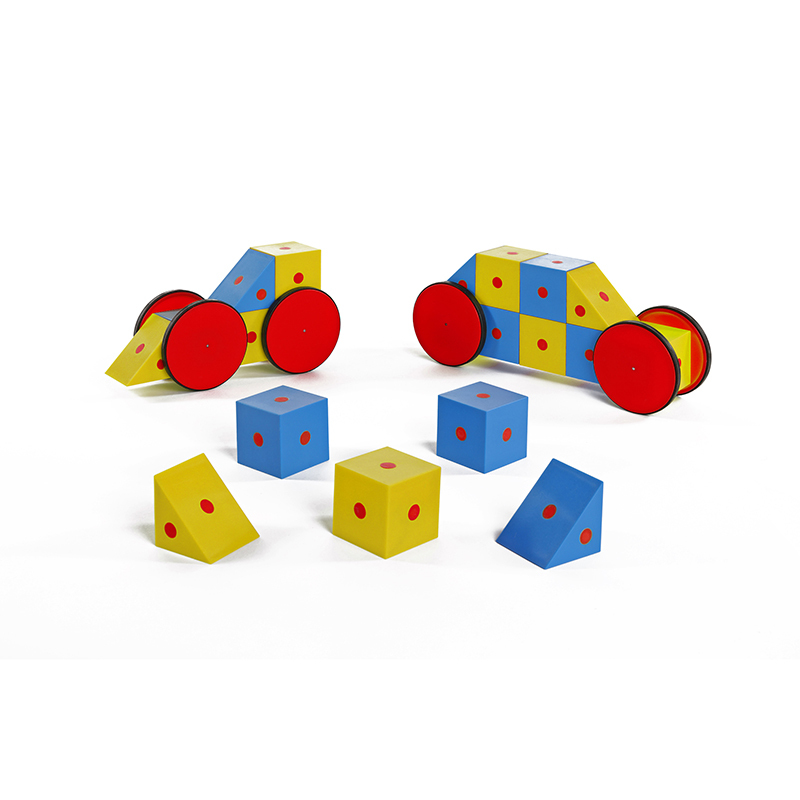 · A fun way to explore construction using 3D magnetic shapes. · Yellow blocks attract blue blocks and like colours repel. Teaches the principles of magnetism. · Cube blocks measure 5cm3. · Create vehicles using the wheels included.